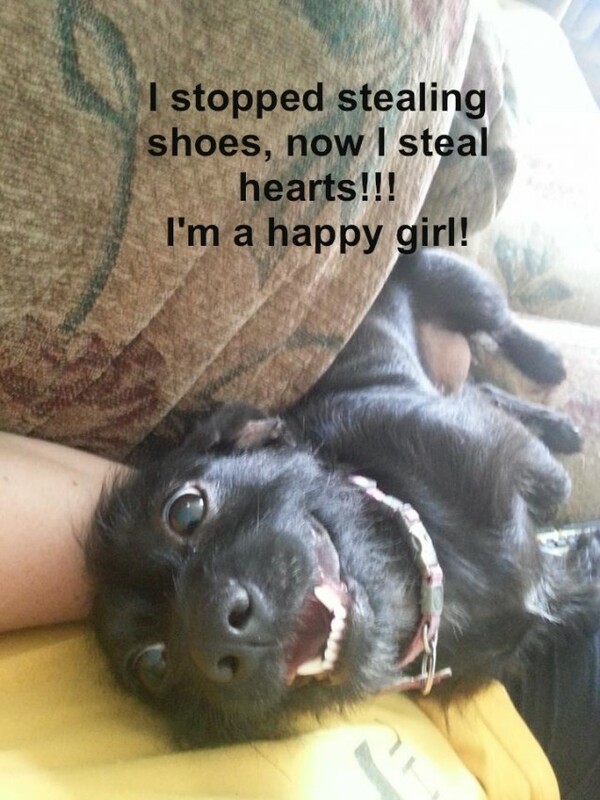 Ethel made her Dog Shaming debut on June 21st after being convicted of serial shoe and sock theft. A month later her foster momma and dad left her in the loving care of another foster home while they went out of town for their annual vacation. Before leaving, Ethel’s foster momma left her strict instructions to not get adopted while she was away. Within just a couple of days little Ethel had stolen her temporary foster momma’s heart and convinced her to make her a forever doggie! Ethel has many four legged siblings in her new home, including three dachshunds just like her! (Ethel’s foster momma has forgiven her, since her forever momma is going to let Ethel come for sleep overs sometimes!) Ethel says she hopes all of her other rescue friends find homes that will make them as happy as she is in hers! Please check out her other friends available through A.A.R.F. 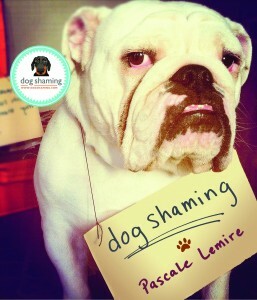 (All About Rescue & Fixin’) Thanks Dog Shaming for all you do to help our rescue friends! Posted July 26th, 2013 . She’s adorable!!! I can absolutely see her stealing hearts. My boy Jack was a foster failure, too. I found the absolutely perfect home for him, then my husband (who is constantly complaining we have too many dogs) said that he could not leave and had to stay. This is making me cry….. happy tears! So nice to hear success stories. Ethel is such a cutie and I’m so glad she found a loving forever home. ok…so now you got ME crying!!!!! My dog made me a “foster failure” also. Best type of failure to be!!! That is a great photo–pure doggie happiness. Yay, Ethel!